Welcome to the San Diego Business Journal’s Book of Lists and weekly list page. The San Diego Business Journal’s lists provide deeper, better and more rigorously researched data than any other national database. Our lists provide the most up-to-date information and data points across more than 50 industries. From networking to research to mailing lists and more, your connection to San Diego businesses starts here. 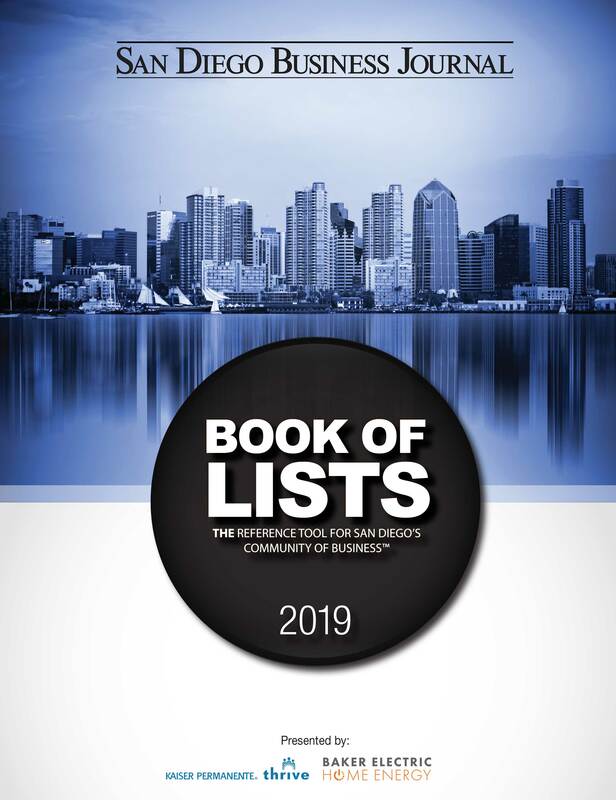 The Book of Lists is an exclusive compilation of more than 90 lists containing data and contacts for San Diego County businesses. Each list contains phone numbers, addresses and contact names of business principals, websites, number of employees and annual revenue. 61% of San Diego Business Journal’s subscribers refer to the Book of Lists at least once a month.